We are well acquainted with some optical phenomena such as reflection an refraction; simply take a look at an object half-submerged in a glass of water. But light has other (many other) trick under its sleeve. 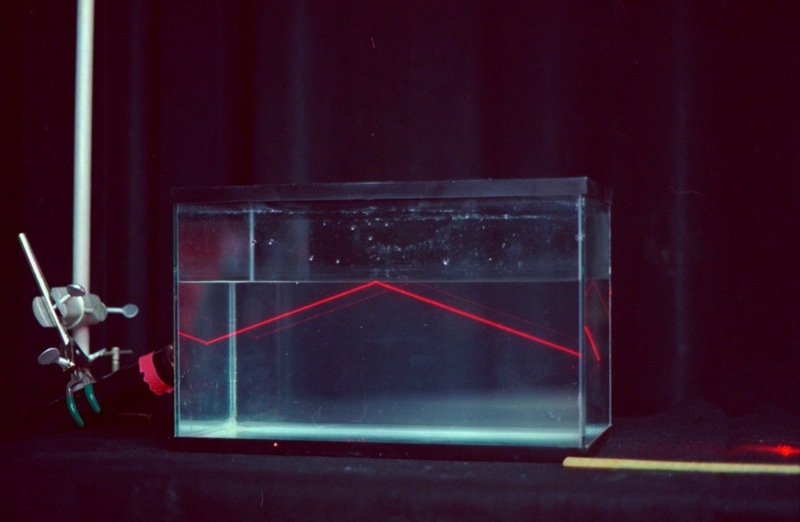 One very useful trick is total internal reflection. As the name suggests, this phenomenon happens when a ray of light incides in a medium boundary at a very particular angle (known as the critical angle) with respect to the normal to the surface. If the refractive index is lower on the other side of the boundary the light cannot pass through and instead it is all reflected, as if it had hit a perfect mirror. Total internal reflection is widely used I the operation of optical fibres and devices such as endoscopes and in telecommunications, rain sensors in cars and some multi-touch displays.